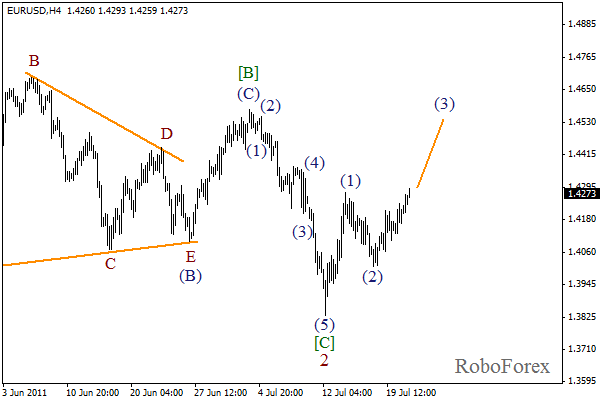 After horizontal triangle in wave  had been completed, impulse in wave  of 3 started. On the minor wave level, the second wave might have been finished. The forecast is still bullish. 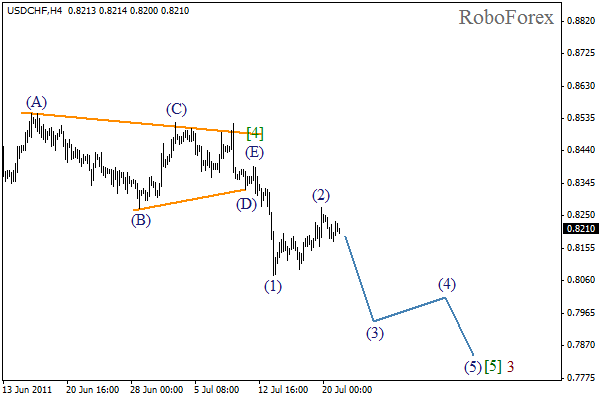 Within the next several days we can expect the start of wave (3) with the target at the level of 0.7950. As we can see at the H1 chart, the structure of wave (2) is quite complicated. Wave B took the form of double three pattern with wave [X] inside in the form of flat pattern. 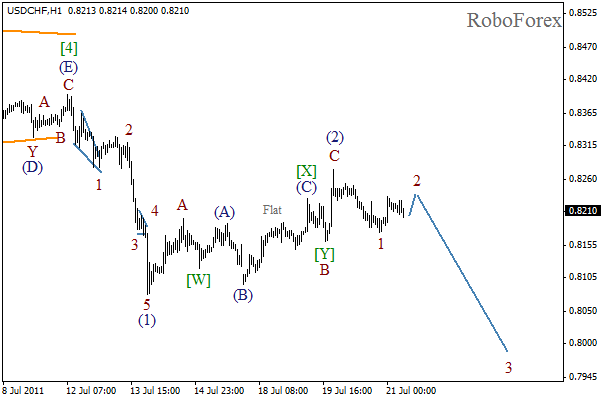 It looks like initial bearish impulse was formed yesterday. After the local correction is completed, we can expect wave 3 to start. Bullish forecast still remains in effect. The price, although reluctantly, has reached new maximum of wave (1), thus indicating the start of the third wave. Within the next several days we can expect the price to continue growing to the level of 1.4500. 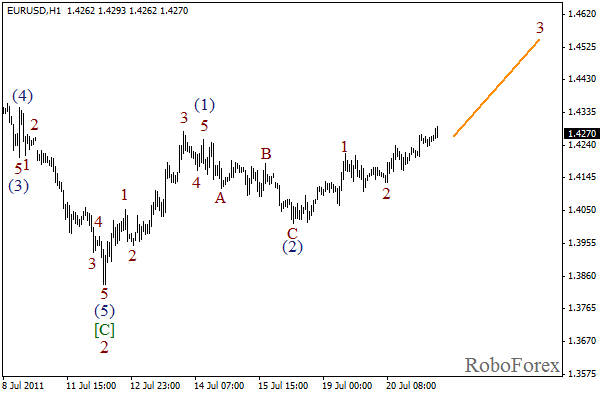 At the H1 we can see that wave 3 started its formation. Before that, wave 2 was completed in the form of double three pattern. The forecast of price movements is shown on the chart. In the near term, the price may continue growing inside the third wave.